Washington (dpo) - In the wake of Donald Trump’s Russia scandal in which the US President allegedly shared classified information with Russia, the White House is taking precautions. 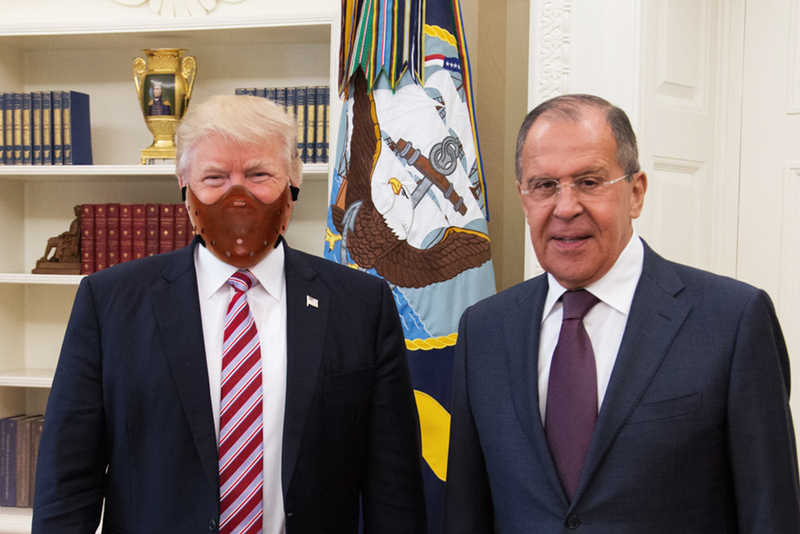 The President’s advisers have agreed that at all future meetings with foreign politicians, President Trump will wear a muzzle. According to the President’s spokesperson Sean Spicer, the soundproof muzzle is a measure to ensure national security.